Follow Project Shoebox on Facebook and Twitter for more up to date information about current News. Shout out to NJHS Club! To the students of Wisconsin Hills Middle School NJHS Club, THANK YOU for your donation of 37 completed shoe boxes. An extra thank you to to the President of the NJHS Club Andre Sydnor for organizing the collection. Thank you Lake Country Home Educators! Huge THANK YOU to the home school group at Lake Country Home Educators for donating several completed shoe boxes! The shoe boxes were filled with lots of awesome items the children will be able to call their own. The final count is in! In our first 8 months as an organization, Project Shoe Box has received.........drum roll please........525 completed care packages for foster children! Plus, we still have countless donations to sort, wrap, and package. Thank you to every individual and organization that has contributed to making Project Shoe Box such an amazing success! Biggest donation drive in PSB history! Congratulations to John Long Middle School in Grafton for having the biggest donation drive in Project Shoe Box history! They packaged a grand total of 128 care packages for children entering out of home care! Thank you to all the students and staff that made the drive such a success! A special thank you to Lynn Slowiak for organizing and making the drive possible! Thank you St. Boniface Church! 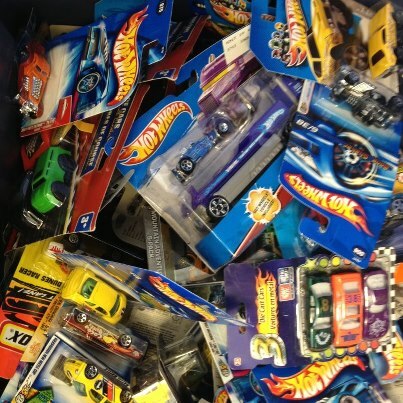 Over the holiday season St. Boniface Church and it's members helped collect countless doantions for Project Shoe Box including an entire bag full of Hot Wheels cars!